Oolie came to visit The Quilted Nursery Children's Fabric Store along with Lewe The Ewe. Oolie is full of mischief and loves being with his friend Zoe the Giraffe. This cotton panel is sure to win over any new mom with the beautiful shades of yellow, orange, green, browns and blues. 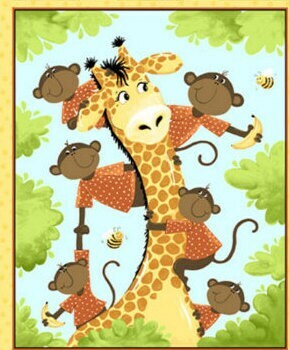 You will find Oolie entertaining Zoe the Giraffe and having so much fun. 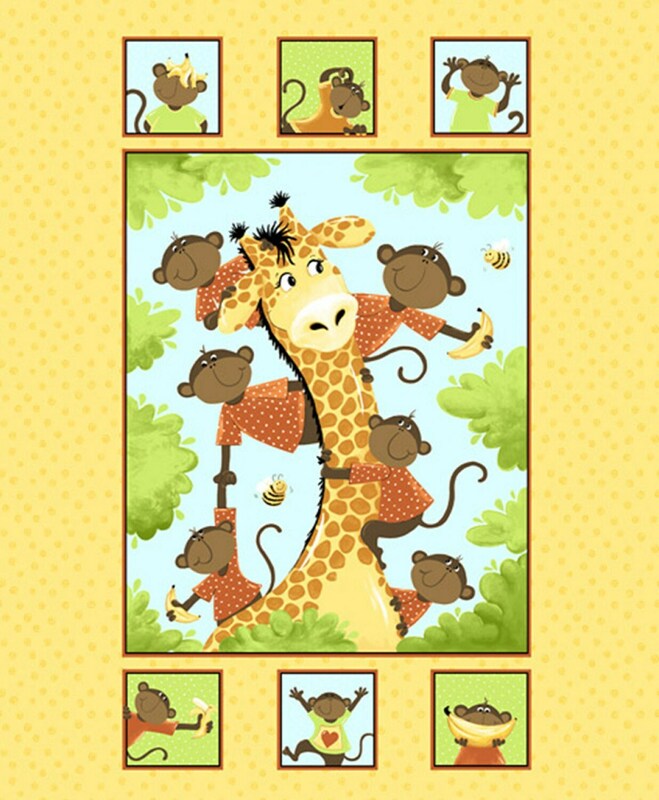 Create a very special baby quilt using this fun panel, a delight for sure. All fabric from The Quilted Nursery Children's Fabric Store is cut directly from the bolt and we now offer fractional yardage cuts for your shopping convenience. Shipping overages are refunded at time of fabric shipment. Same day shipping always!